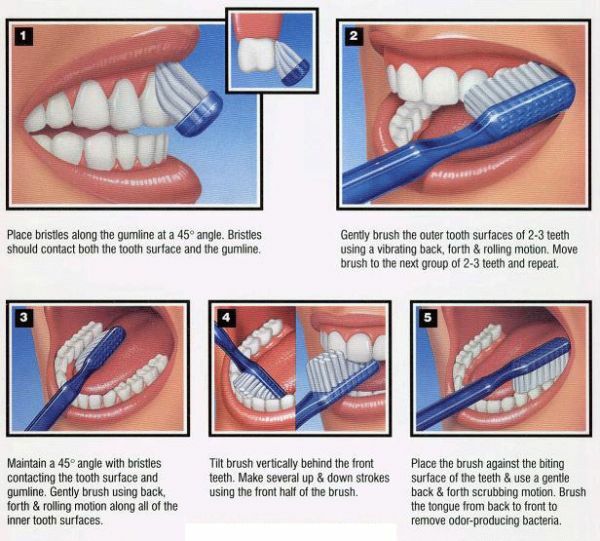 Brushing removes food particles and plaque from your mouth, making teeth look cleaner and breath feel fresher. -Brush with a fluoridated toothpaste at least twice a day. -Use a good quality toothbrush with a small angled head. An electric toothbrush can also be used with very good results. -Spend approximately two minutes brushing your entire mouth (teeth, gums and tongue). –Replace your toothbrush every three months or when the bristles become bent. Flossing daily: Brushing keeps your teeth fairly clean. Unfortunately it can’t reach plaque and food between teeth and under the gum line. 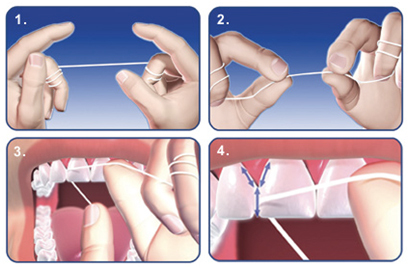 Daily flossing will keep plaque from building up in these hard to reach areas. 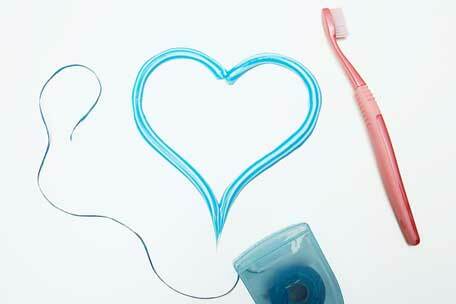 Also the use of water picks and interdental brushes can improve significantly your gum health. If your gums hurt or bleed while brushing or flossing, or you are experiencing persistent bad breath, see your dentist. Any of these conditions may indicate a problem. Your dentist can help you learn good oral hygiene techniques and can help point out areas of your mouth that may require extra attention during brushing and flossing. –Every six months you should visit your dentist for a dental check-up, prophylaxis and cleaning of your teeth.